Approximately 2000 persons marched against government censorship of the Internet on Saturday, the 17th of July, 2010. The protest march started in the popular Taksim Square and ended in the Galatasaray square with a press declaration that called for the abolishment of Law No. 5651 which forms the basis of the Turkish Internet Censorship Infrastructure. 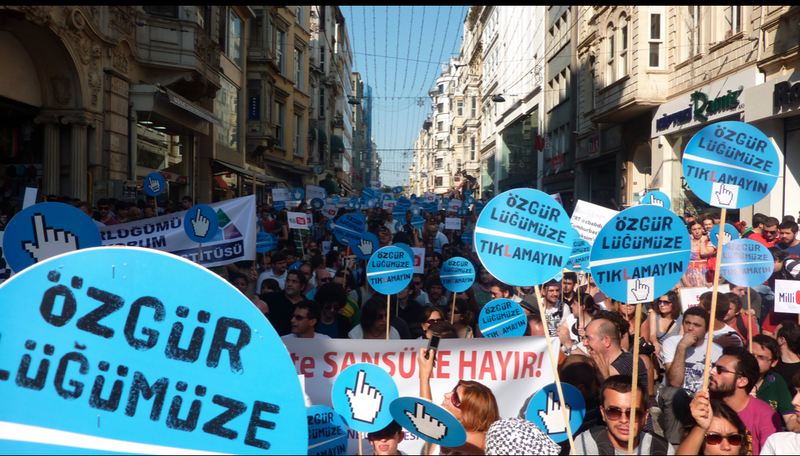 Be the first to comment on "Turks marched against government censorship of the Internet in Istanbul"